Kindergarten and 7th grade students must provide proof of immunizations before they can return to school. 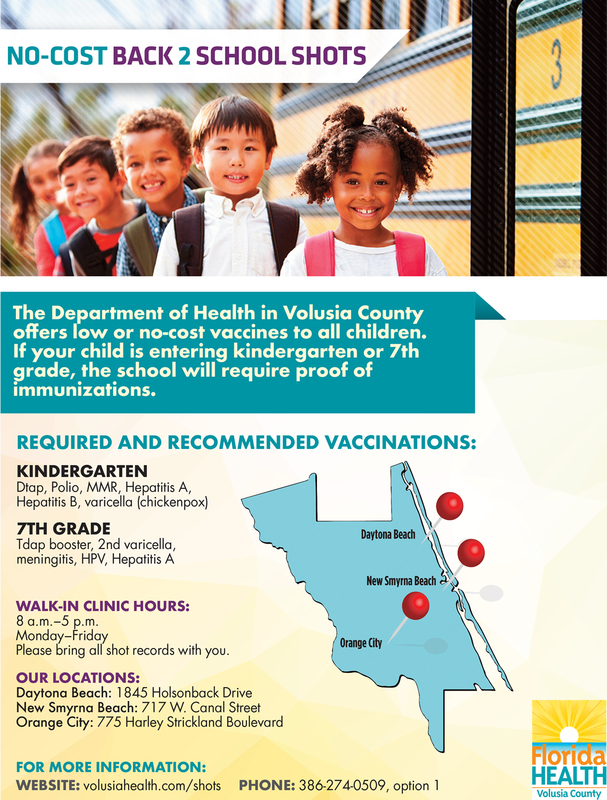 To help parents avoid the back to school rush, the Florida Department of Health is offering immunizations throughout the summer at its locations in Daytona Beach, New Smyrna Beach and Orange City. No appointments are needed for immunizations. For information on immunization records and vaccine information.